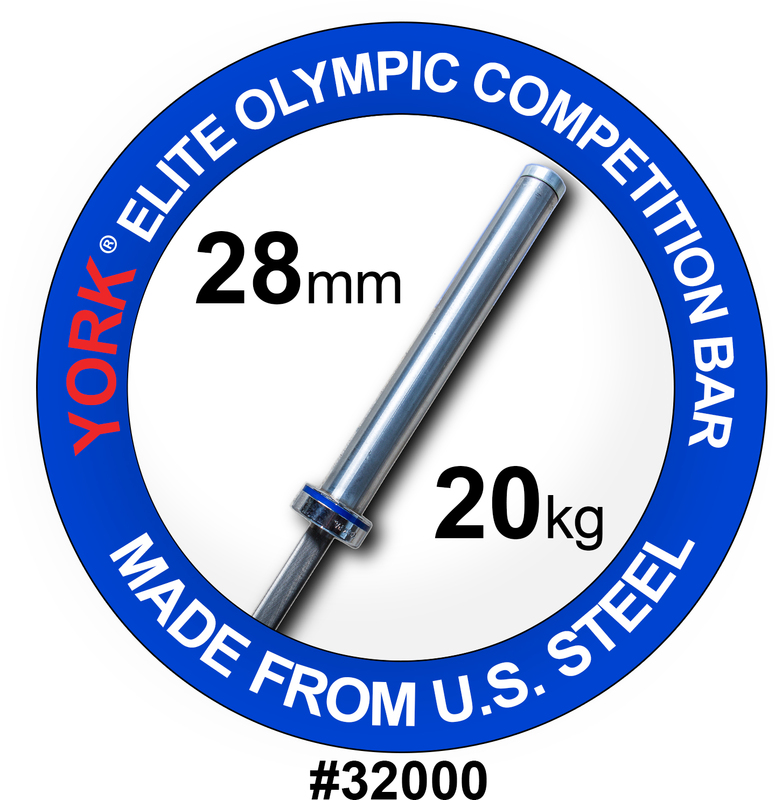 The YORK® “Elite” Olympic Stainless Steel Weight Bar has a minimum tensile strength of 165,000 PSI after heat treating. 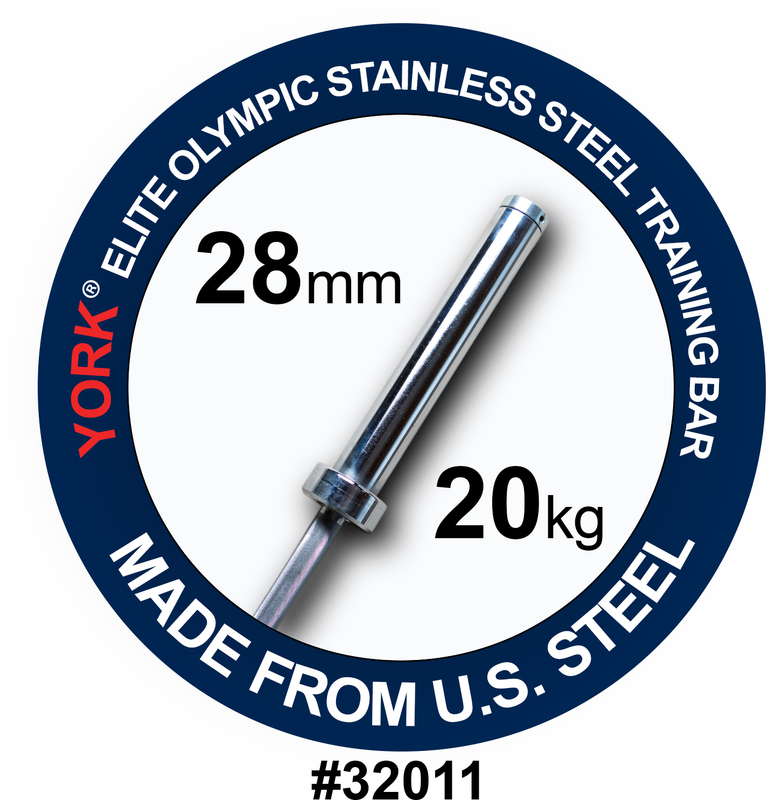 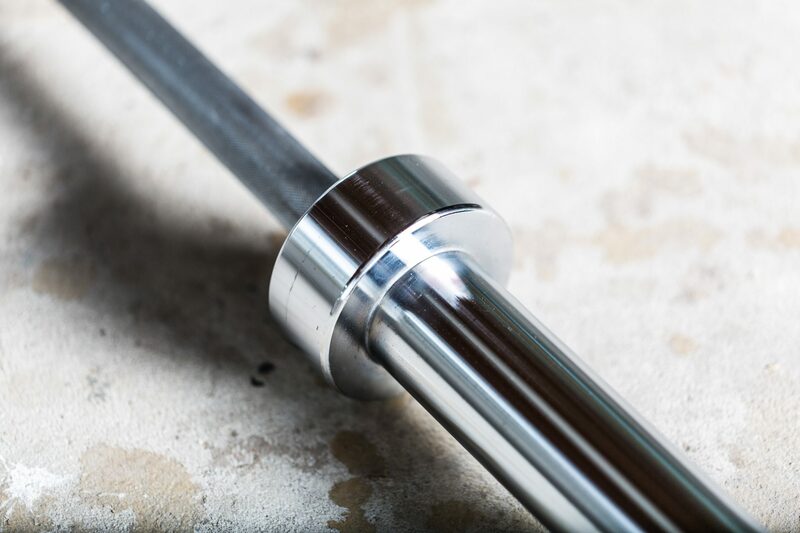 The bar will not rust and the stainless steel is American made Only North American steel is used in the making of this bar. 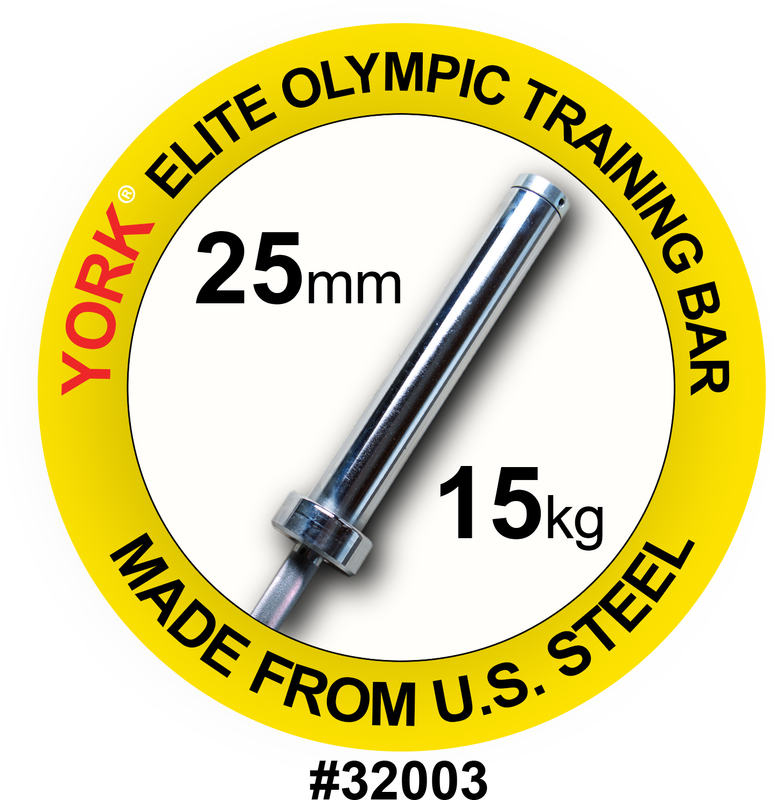 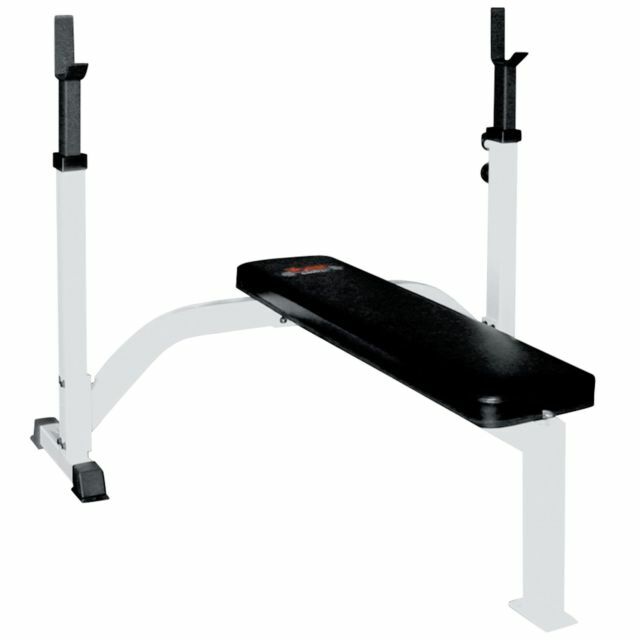 It is flexible and an excellent weight bar for use when performing Olympic Lifts. 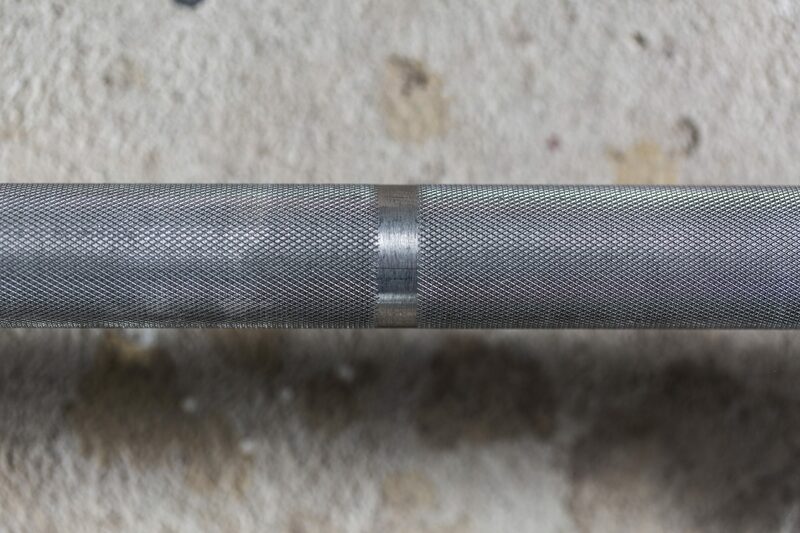 The sleeve is secured on the bar using a bar end nut and spring pin. 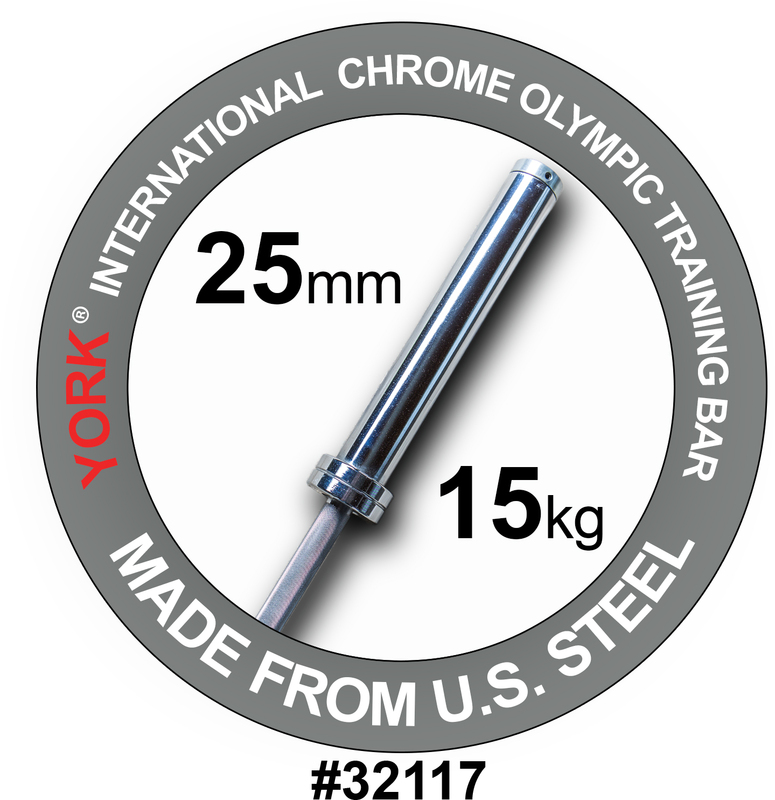 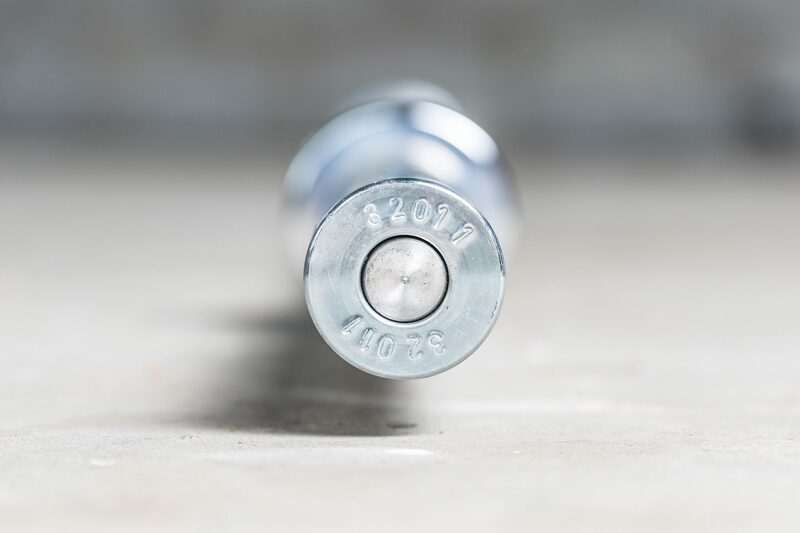 Sleeves are machined to a precise 1.975” diameter to accommodate 2” Olympic Plates.